Got someone you’re sweet on? Let them know with a decadent surprise! 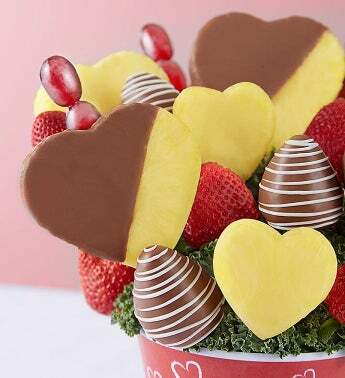 Our luscious fruit bouquet is filled with a mix of dipped, drizzled strawberries and heart-shaped pineapples. 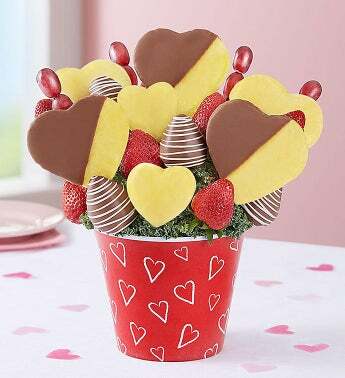 Hand-arranged inside a charming red container adorned with chalkboard-style hearts, it’s a romantic treat for sharing together.